We offer stimulating and challenging classes, but learning opportunities for students extend well beyond the classroom. Our students study abroad, pursue internships, and participate in a variety of research experiences. These activities can be undertaken during the semester, over the summer, or during January. Consult with your adviser early and often to find the best opportunities for your interests and long term plans. ​Our department is often asked to share information ​from other organizations with our students. We consolidate that information here for your convenience; however, we have not thoroughly researched every one of these announcements. If you are considering any opportunity listed here, exercise caution, and if you have questions, please talk with a faculty member in the department. Calls for papers (C), internships (I), job opportunities (J), grad programs (G), volunteering opportunities (V), fellowships (F), research/project opportunities (R), scholarships (S), learning opportunities (L), networking opportunities (N), workshops (W), events (E), study away notices (A), and miscellania (M); in reverse order, with the most recent notices at the top. Active items are listed in bold. The University of Georgia will offer six credits of Intensive Elementary Online Latin, Summer 2019. The course presumes no knowledge of Latin and will cover all introductory grammar, allowing students to read at the intermediate level upon completion of the class. The dates for the class are June 10-June 28, with the final exam on July 1, and July 2–July 24, with the final exam on July 25. Click here to apply! This program in Romania will involve using archaeological techniques on a Roman excavation site. The program will also explore the way identity is built and negotiated in a very dynamic and rich frontier environment, as well as the development of a “creole” Roman landscape through field work, laboratory analysis and lectures. Visit the website or this brochure for more information or to apply. The Sijal Institute for Arabic Language and Culture is accepting applications for its summer 2019 Intensive Arabic language sessions in Amman, Jordan. It teaches both spoken Levantine Arabic (Colloquial) as well as formal Modern Standard Arabic (MSA). A limited number of work study positions are available. Visit the website to learn more. “The Garden of the Muses” Program offers opportunities for Classical Greek enthusiasts to talk and philosophize. The program offers several courses and sessions over the course of the year. For more information, visit the website or see these posters with more information about each course (Modern Greek, Speaking and Philosophizing, Classical and Modern). SALVI: Latin for the Living is hosting four Latin immersion programs in a supportive, welcoming environment. There are different Rusticatio experiences, all designed with different levels of scaffolding to match your comfort and experience levels. The programs are held in different areas of the country and welcome all people at all levels of Latin fluency. Click here for more information about each individual program and apply by April 1st for early-bird pricing. The Arabeya Arabic Language Center offers intensive language programs in Cairo over the summer. The program offers courses for all levels in both Modern Standard Arabic and Egyptian Colloquial Arabic. More information can be found here. There is a 10% discount until April 15. March session registration for masonry certification training with the US Heritage Group is open. They have multiple one-day sessions on different subjects including stone repair and lime putty mortar installation. Space is limited. The sessions will take place either on March 20 or March 22 in Chicago. More information is available on the US Heritage Group website. This panel, featuring Professor Ahoo Najafian, Ira T. Wender Postdoctoral Scholar in Middle East Studies at Carleton College, and Professor Wessam Elmeligi, Arabic Professor and Assistant Professor of the Classical Mediterranean and Middle East, will explore the continuity of Persian literature and art into modern Iranian culture and life. The first part of this talk examines 20th-century self-understandings in Iran and the ways that the Iranian soul is connected to poetic and mystical traditions, epitomized in the figure of Hafez. The second part of the talk explores the Persian legend of Shirin and Khosrow through analysis of three textual and visual interpretations: Nizami Ganjavi’s poem Khamsa, Ferdowsi’s miniature paintings, and Abbas Kiarostami’s film, Shirin. 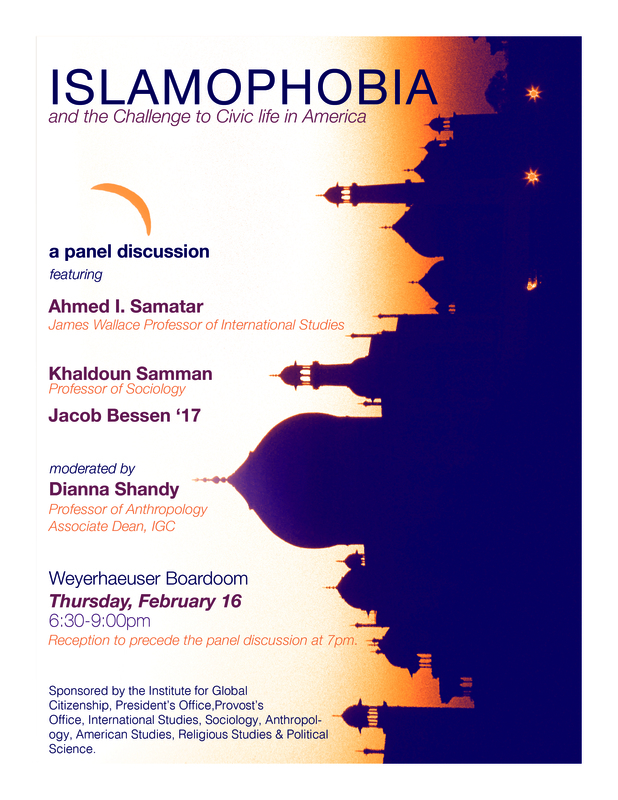 The panel is on Tuesday, Feb. 26th, at 7 pm in the Harmon Room. Applications are open for the Ground Penetrating Radar (GPR) Field School. The six day sessions in Transylvania, Romania, provides technical, theoretical, and practical skills for GPR surveying which complement geophysics training for fields including archaeology and cultural resource management. More information can be found here and here. Greek Studies On Site offers two- to three-week long summer programs on classical literature, philosophy, and culture. Seminars take place either in within Greek archaeological sites or at the Norwegian Institute at Athens. The program also has field studies to major archaeological sites and museums. More information can be found here. Apply by March 15. Are you at least a Sophomore? Macalester students and young alumni have been invited to participate in an exclusive recruitment process for paid summer internships for candidates underrepresented in policy research (defined by Brookings as women, students of color, LGBTQI+ students, students with disabilities, and first-generation students). Applications are due in Handshake by February 20th (including a writing sample and unofficial transcript), and internships will be filled by late March. The Fellowship provides for a visiting artist to pursue an independent project alongside the Living Greek in Greece program in August. The Fellowship provides the artist in residence with flights and housing for the duration of the Living Greek in Greece program, which runs from August 3rd to August 18th, 2019. To be considered for the fellowship, please apply by March 1, 2019. On Thursday, February 14 from 7-9 pm in Davis Court, Kyera Singleton (Class of 2011), will lead a scholarly conversation titled “NARRATING BLACK WOMEN’S INCARCERATION AND RESISTANCE” in dialogue with Prof. Crystal Moten (History), and Guy Chinang(Class of 2020). Prof. Moten teaches 20th century African American History. 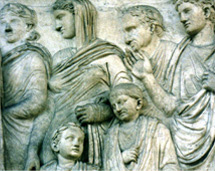 The University of Vermont (UVM) offers MA, MAT and Graduate Certificate programs in Classics. Each year they typically fund two MA students with sufficient preparation (2–3 years or more of each language). Click here to view the flyer regarding their graduate programs or visit the UVM site for more information. The deadline to apply for funding this fall is February 15th, 2019. The Paideia Institute is accepting applications for their summer 2019 programs! The Paideia Institute currently operates six independent programs in Europe. In each program participants visit the ancient world’s most inspiring historical settings to read the ancient texts that describe them. The goal of the Paideia Institute’s programs is to foster a close personal relationship with the classics. There are four programs available to college undergraduate students. The applications are found on the individual program’s webpage, found through this site! The Gabii Project is an international archaeological initiative promoted by the Kelsey Museum of Archaeology at the University of Michigan. They have been excavating the Latin city of Gabii since 2007 in order to study the formation and growth of an ancient city-state that was both neighbor, and rival to, Rome in the first millennium BCE. Their summer field school season will present students with a combination of hands-on and classroom learning opportunities and last from June 16th to July 20th, 2019. Click here to view more information and apply by March 1st, 2019. The Center for Hellenic Studies in Washington, DC is looking for applicants for their summer internship program. It’s paid, includes housing on campus, and is an excellent opportunity for any Classics major (or minor, or even enthusiast!). The internship is from June 3rd to July 29th. Please visit here for more information. Applications are due February 18th, 2019. The Paideia Institute’s Summer Humanities Internship is designed to give students with an interest in the classical humanities a real-world work experience that allows them to develop marketable skills while making an impact on subjects they care about. Teams of interns work together in a modern, air-conditioned office in Rome to drive forward the Institute’s educational and outreach initiatives. Visit this site to learn more and apply. Applications are due March 1st, 2019. CYA is now accepting applications from students interested in short-term, intensive study abroad for their summer program, which offers unique, experience-based opportunities for learning. CYA offers summer courses over two consecutive 4-week sessions that run between the end of May and the end of July. They are arranged so that motivated students may earn credit in complementary courses. Students take one course per session. Each 4 week course/session consists of 60 contact hours. Visit here for more information regarding deadlines and cost reductions. The Presidential Associate Program at The American University in Cairo (AUC) provides recent university graduates the opportunity to spend a full calendar year working at the highest levels of an international university. They will have the opportunity to learn Arabic, participate in community service, network with experts in the MENA region, and experience life in Egypt. This program provides recent graduates the opportunity to begin their professional careers while abroad. Associate will serve full-time in one of fifteen university offices, working in a range of fields including University administration, sustainability, finance, student development, advancement, communications, and more. Benefits include a monthly living stipend, furnished faculty housing, private Arabic tutoring, access to AUC faculty and staff programs, community-based personal development, subsidized trips around Cairo and Egypt, and more. Applicants from a wide range of American universities, including students with no background in Arabic or Middle Eastern Studies are welcome. Potential applicants should visit their website for more information on the program and application instructions. In addition, please visit their Facebook page and blog to learn more about living and working in Egypt. The application is due February 8th, 2019. Paper Airplanes, is a nonprofit that provides free, one-on-one language and skills learning for individuals affected by conflict (primarily Syrian refugees). They are seeking individuals to serve as personal tutors for 12-16 week sessions conducted via Skype and other video conferencing platforms. Tutors are able to make a tangible difference in conflicts that often seem distant and challenges that seem insurmountable. They offer first hand experiences with the region and languages you might be studying, and the chance to learn about the Syrian Conflict, develop teaching and leadership skills, become involved in refugee advocacy, and build relationships across geographical distance. The application for winter/spring session is now open. learn more at their website. Tufts Historical Review is an academic journal of global history that seeks both undergraduate and graduate papers of the highest caliber. This year, the theme is Muses. “The development of humanity is a story of extraordinary accomplishments by remarkable people. Behind every one of those people is a source of inspiration, be it religious, political, or personal. Every story has its muse.” The Editorial Board seeks outstanding articles – between 2,500 and 8,000 words – that explore our theme from a diverse array of perspectives. Submissions are due by 31 January 2019, and should be submitted to tuftshistoricalreview@gmail.com. Queen’s University offers graduate programs in Classics and in Archaeology. To learn more see their poster here. Deadline is February 15. THE M. ALISON FRANTZ FELLOWSHIP is listed below on 11/7/2018, and the DEADLINE: is JANUARY 15, 2019. The Paideia Institute is offering several programs in Latin and Greek. For more information, or to request an application, visit the Institute website. For more information see PhD program poster. Registration is now open for the sixth annual Living Latin in New York City conference, an international gathering of Latinists and Hellenists focusing on the active, spoken use of Latin and ancient Greek in the classroom. Learn more about the conference and register via the Paideia Institute website. Sign up before February 1st to take advantage of a discounted registration fee. Study Arabic, Persian, or Turkish this Summer. Visit aptlii.wisc.edu for more information and application details. For more information on the networkers in attendance, please visit the SCS website. Registration is open until November 30th. The Summer Seminars of the American School of Classical Studies at Athens are two 18-day sessions designed for those who wish to study specific topics in Greece and visit major monuments with exceptional scholars as study leaders. Applicants will complete an online application at: https://ascsa.submittable.com/submit/115820/ascsa-summer-seminar-application-18-day-sessions. Applications due January 15th. 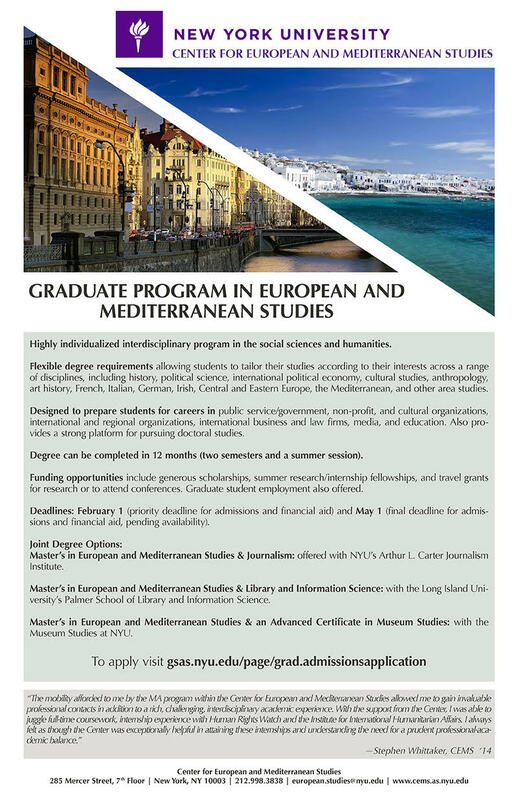 For more information about the application, visit the ASCSA web site at: http://www.ascsa.edu.gr/index.php/admission-membership/Graduate-and-Post-Doctoral. The Committee on Diversity in the Profession of the Society for Classical Studies (SCS) invites applications from minority undergraduate students from across North America for scholarships to be awarded for Summer 2019. Please see the scholarship website for more details. The Quintilian Society is an association of Classics PhDs focussed on redressing the dearth of secondary-level Classics instructors. See the Quintilian Society website for more details. See the Archaeology flyer and GPR flyer for more details. The American School of Classical Studies at Athens provides American graduate students and scholars a base for their studies in the history and civilization of the Greek world, allowing graduate students a unique opportunity to study firsthand the sites and monuments of Greece. The School is also a resource for students and senior scholars pursuing research in many fields ranging from prehistoric to modern Greece, thanks to its internationally renowned libraries, the Blegen, focusing on all aspects of Greece from its earliest prehistory to late antiquity, and the Gennadius, which concentrates on the post-antique Greek world, as well as the Malcolm H. Wiener Laboratory for Archaeological Sciences. See their flyer to find more information about opportunities with ASCSA, including a few summer opportunities for undergraduates, and financial support. The CDC provides a weekly update to share opportunities relevant to Classics. Find the Oct 10 CDC update here. At the University of Kansas, Museum Studies is a rigorous academic discipline that prepares students to become leaders in this rapidly changing field. Students in the program gain firsthand knowledge of innovative museum work while conducting their own research that advances the field. For more information please see the fact sheet, brochure and social media graphics. Wake Forest University’s one-year program offers both a master’s degree as well as teacher licensure in secondary social studies. Please see the Wake Forest University MA Flyer and the Wake Forest University Letter for more details. The 13th Annual Undergraduate Classics Symposium at Carlton College:Constructing and Projecting Identities in the Ancient world is accepting papers. Undergraduates from Minnesota colleges and Universities are invited to submit an abstract of no more than 300 words for papers 20 minutes in length to Professor Clara Hardy (chardy@carleton.edu) by 9:00 p.m. on Wednesday, December 19, 2018. Accepted participants will be notified within a few days of the submission deadline. Process is currently accepting submissions for its next issue, On Narrative. Please see the Process website for more details. Please see the Graduate Study in Greek and Latin at Catholic University Flyer for more details. Catholic University offers MA and PhD programs specializing in late antiquity and the Middle Ages, as well as Certificate programs for classical language skills. Please see the Duke Classics PhD Program flyer for more details. The CDC provides a weekly update to share opportunities relevant to Classics. Find the Sept 27 CDC update here. The update also refers to attached flyers. See the Mac Explores flyer and WRP flyer. Please see this WashU Classics Graduate Programs flyer to learn more. The CDC provides a weekly update to share opportunities relevant to Classics. Find the Sept 20 CDC update here. The Sportula is a collective working to provide microgrants — petty cash of $5-$300 — to economically marginalized undergraduates in Classics. In addition to funding no-questions-asked, no-strings-attached microgrants, they have also worked to connect students with resources for non-monetary needs (e.g. finding a free copy of a textbook or a faculty mentor). If you’re an undergraduate student in need of funds or other resources, contact them at libertinopatrenatus@gmail.com or via Sportula’s Facebook, or Sportula’s Twitter. If you’re a BIPOC, working class, undocumented, and/or financially-marginalized classicist at any stage of your career, you can join Sportula’s private Facebook group . View a list of events planned by AIAmn here. The Archaeological Institute of America offers a range of funding opportunities, including fellowships, publication grants, scholarships and travel grants—plus the Site Preservation grant, and grants for excavation, survey work and research. Find the Archaeological Institute of America’s fellowships flyer here, and the AIA grants flyer here. Further information can be found on the AIA’s website at http://www.archaeological.org/grants. Fall deadlines are coming up for many of the programs. The Classics program at Austin Peay State University invites submissions for the third volume of Philomathes”An Online Journal of Undergraduate Research in Classics. This refereed on-line journal publishes original research projects carried out by undergraduate students in any area of Classics. Submissions are welcome from current undergraduates and those who have recently completed their undergraduate education (within one year of graduation). The deadline for submissions for the next issue is Friday, November 16, 2018 with a publication date scheduled for May 2019. Please see the Philomathes web site for information on publication policies and submission guidelines, as well as previous issues of the journal. Biduum Oklahomense offers a chance to experience a full-immersion Latin weekend workshop on an Oklahoma Ranch. Learn about it at the Biduum website here. NEO – The Classics Students’ Journal is now accepting submissions all year. All the information on how to submit is available on their website:http://www.neojournal.co.uk. NEO is an open access, online, double peer reviewed, interdisciplinary journal set up by Classics students that aims to provide an opportunity for Classics students of all university levels to be published. Online summer courses in French, German, Latin, Spanish, Classical Greek, Biblical Hebrew, New Testament Greek, and Sanskrit are offered through Erasmus Academy. For more information visit the Erasmus website or view these flyers. 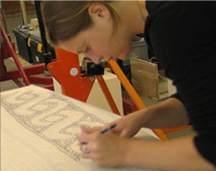 The Minneapolis Institute of Art offers unpaid volunteer internships for individuals considering or pursuing careers in museum work. Candidates who have completed at least two years of college coursework and have relevant skills, interests or experiences are eligible to apply. Internships may last from one to twelve months, with a minimum time commitment of twenty hours per week. Intern positions are typically project-orientated within a specific department. The application deadline for Fall 2018 is June 1. For more information and to apply, visit the MIA internship website. Angie Craig’s campaign for Congress is seeking interns. This field internship is a good opportunity for students to gain experience in political campaign work and leadership, as well as make a difference in Minnesota communities. No prior experience necessary. This internship is flexible, and hours and specific components of the position can be tailored to the intern’s needs and interest areas. This position is unpaid. For more information, see this Congressional internship flyer. The Academy Vivarium Novum is offering twenty-eight full-tuition scholarships for University students (18-24 years old) of any part of the world. The scholarships will cover all of the costs of room, board in male dorms, teaching and didactic materials for courses to be held from October 2018 until June 2019 on the grounds of the Academy’s campus at Villa Falconieri (Frascati – Rome). To learn more about the scholarships and courses, visit the Academy Vivarium Novum website. Archaeologist David Mather will be giving a lecture on zooarchaeological data from Fort Snelling that reveal aspects of the original upland prairie, floodplain forest, and aquatic habitats at the confluence of the Minnesota and Mississippi rivers, an area known as Bdote to the eastern Dakota. The event will take place on Thursday, April 5 at 6 PM in John B. Davis Lecture Hall. The event is free and open to the public. Find more information at the AIAMN blogspot. 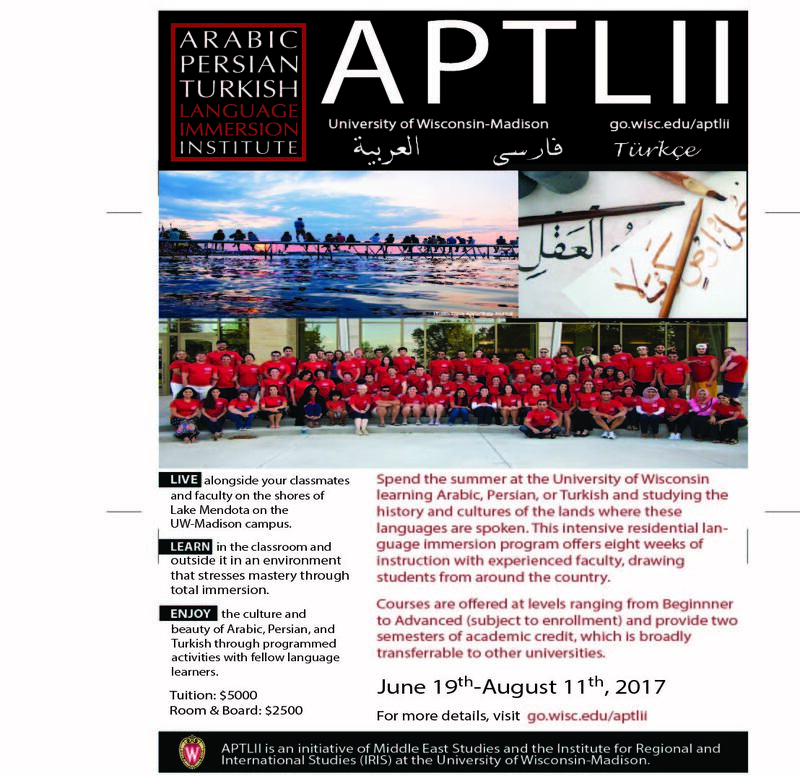 (A) 4/2/2018 Apply to the Arabic, Persian, and Turkish Language Immersion Institute (APTLII) at the University of Wisconsin – Madison for Summer 2018. APTLII is an intensive residential summer language immersion program for undergraduates, graduate students, and professionals. Courses are offered for academic credit at the beginner, intermediate, and advanced levels (depending on sufficient enrollment). Students commit to using their target language as their only means of communication for the entire summer. Each 8-week language class is equivalent to two semesters of study, with full academic year credit. Instruction is given in small groups taught by native speakers and experienced language teachers. In addition to formal classes, students participate in co-curricular activities covering a range of topics relating to the history and culture of the region. Find more information on the APTLII program website. Gina McCarthy — the head of the EPA under Obama’s administration — is coming to campus to give a lecture on Thursday, March 29 at 7 pm in Kagin Ballroom. Gina McCarthy is a passionate advocate for sustainability, public health, and environmental protection. McCarthy gained international recognition as head of EPA leading historic progress to achieve the administration’s public health and environmental protection goals and Climate Action Plan. She is currently a Professor of Public Health Practice at Harvard University. Tickets for this event are free at the Information Desk and will be available for students beginning March 5. Tickets for faculty and staff will be available beginning on Monday, March 19. Please note, one ticket per Macalester ID. Any unclaimed tickets will be sold to the public the week of the event. 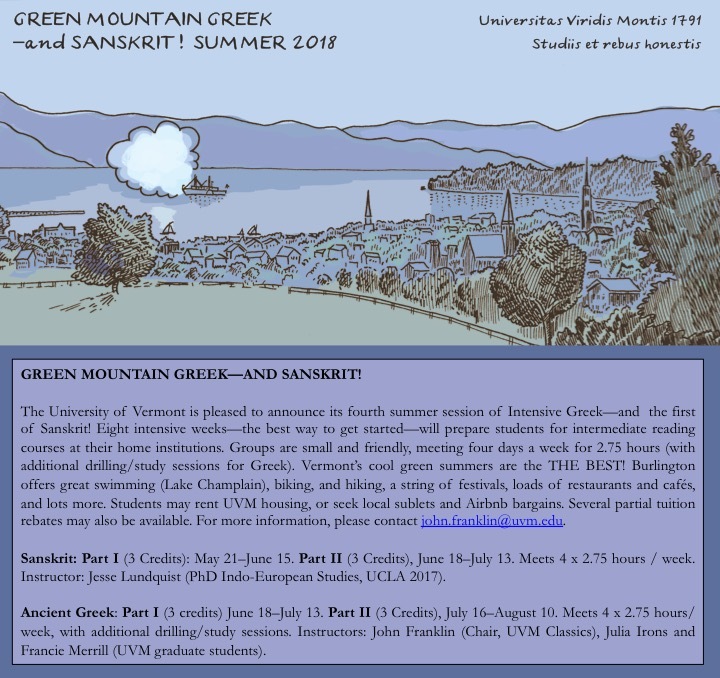 The University of Vermont will offer intensive Greek and Sanskrit courses in Summer 2018. Read more about the University of Vermont Summer Programs here. Do you want to spend 8 weeks learning Arabic, Persian, or Turkish in an immersion setting to satisfy two semesters of language credit (subject to acceptance by institution). Learn more and apply for APTLII 2018 here. To honor a professor, fill out this faculty nomination form. The program is divided into three parts: a 3 credit undergraduate course, a paid internship, and a trip to Chicago, Illinois. Interested students should contact Jae Yates, jae.yates@mnhs.org or Kyle Parsons at kyle.parsons@mnhs.org. Find the INCE program flyer here and the INCE application link here. The priority deadline for applications is March 23rd and positions are competitive so students should apply as soon as possible. Students interested in opportunities in publishing can attend the Minnesota Book Publishers’ Roundtable Internship Fair on March 27. Publishers will be on-site to answer questions, take resumes, and give brief informational interviews about opportunities available at their respective companies. This free event will take place in the Open Book (Target Performance Hall), 1011 Washington Avenue South, Minneapolis, MN 55415. Please RSVP on the Publishers’ Roundtable website. Digging Up the Past uncovers the diverse, delightful, difficult, provocative, and unexpected stories from University of Minnesota’s Archives and Special Collections that have been unearthed as part of Umbra Search African American History’s effort to digitize nearly 500,000 African American history materials from across the University of Minnesota’s collections. The event is free and open to the public. It begins at 5:00 PM on March 19. Find out more and RSVP on the Continuum website. RSVP requested by March 12. The City of Saint Paul is looking for a summer Department of Planning and Economic Development intern. The work may involve economic development, geography, historic preservation, housing, and planning. The position is paid. More information can be found about the St Paul Department of Planning Internship here. The application deadline is March 19. Students interested in working in middle or high school social studies teaching positions can apply to the Bard College Master of Arts in Teaching Program. Bard MAT’s curriculum gives equal weight to graduate study in history and education. Students at Bard MAT work both Bard supervisors and with mentor teachers at local public schools. More information on the program and the application can be found at the Bard website and on the Bard Teaching Program flyer. Applications for summer are due April 30. 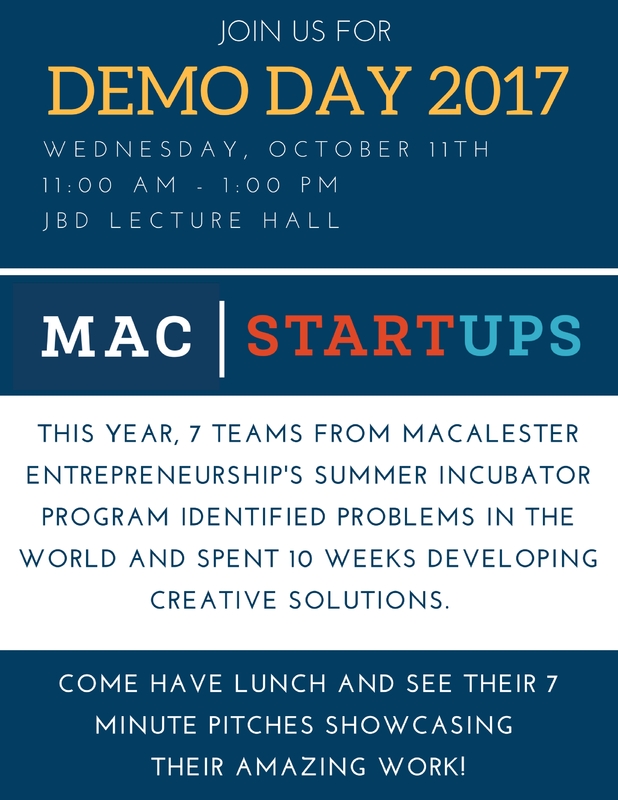 MacStartups is a 10-week fully-immersive summer incubator program open to current Macalester students. Working in a team of 2-3, students spend the summer using their creativity and super-powers to tackle a problem they’re passionate about solving while connecting with the Twin Cities entrepreneurship community. Teams will be selected based on their identification of the problem, creative solution, enthusiasm, and ability to work collaboratively. They are expected to develop the courage to take risks, learn methodologies and equip themselves with a toolkit, and work collaboratively with a cohort of fellow Mac students & integrate with the vibrant MSP innovator community. The MacStartups application is now open and is due Sunday, February 25th. The Schola Latina is an international team of teachers whose goal is to promote and spread the study and knowledge of the Latin and Greek languages and literatures. They are hosting Scholae aestivae in Italia, an intensive Latin course at the advanced level. The course will take place from the 4th to the 25th of July in the De Marco palace, in Campania. Teachers will propose passages taken from various Latin authors: ancient, medieval and modern, and lessons will be entirely in Latin. Schola Latina’s goal is to help you to learn, and improve your Latin, by reading these texts and by doing many and various exercises, both written and oral. See the Scholae Aestivae application to learn more. ArcheoTek is offering several summer programs in Dacia (modern historical Transylvania) focusing on field excavation and surveying. The programs offer a very extensive approach to the anthropology and archaeology of the Roman frontier environments, through field work, laboratory analysis and lectures. Participants will be able to experience several field approaches, ranging from Classical excavation, anthropological site exploration, traditional STP (shovel test pit), and geochemical (phosphate analysis). To further expand their skill set our participants can opt to our intensive Ground Penetrating Radar (GPR) Applications Workshop. Visit the program websites or these syllabi to find the application for each program. The Paideia Institute is happy to announce its spring semester offerings in Telepaideia, a series of online courses in Latin and Ancient Greek. Telepaideia allows you to study Latin and Greek language and literature with expert teachers from the comfort of your own home. See the Telepaideia Website for more information on individual course offerings, cost, and times. Learn more about conservatory practices and archaeology with the US Heritage Group and their symposium on hot mixed lime mortars. This technique played an important role within the ever-expanding palette of lime binder and mortar types. When correctly specified and used, evidence suggests that they are appropriately durable and compatible with most traditional masonry buildings. Furthermore, they are economic and provide excellent workability. Join Nigel Copsey, Stafford Holmes and Mario Machnicki for the first American Hot Mixed Lime Mortar Symposium on February 8th and 9th. This two-day symposium includes a combination of classroom studies and hands on demonstrations. Upon completion of the symposium, attendants will be able to determine when to use Hot Mixed Lime Mortar on a restoration project, and have the knowledge to properly specify Hot Mixed Lime Mortars for these projects. Space is limited and will be available on a first come first served basis, at a cost of $200 per person. To find out more about the symposium email the US Heritage Group. Paideia is now introducing a new publication, In Medias Res, a magazine for lovers of the Classics, with John Byron Kuhner as its Editor in Chief. In Medias Res will be a forum for all things classical, with contributions from Paideia’s faculty and community members. Look for columns about Greek, teaching, even parenting – anything related to the Classics – to be launched soon. The website will soon be looking for more writers, so they invite you to write for In Medias Res. To view the magazine and find out more about contributing, see the In Medias Res Website. The Paideia Institute’s Summer Humanities Internship is designed to give students with an interest in the classical humanities a real world work experience that allows them to develop marketable skills while making an impact on subjects they care about. Teams of interns work together in a modern, air-conditioned office in Rome to drive forward the Institute’s educational and outreach initiatives. Teams are lead by graduate students and professionals with real-world expertise in team project areas. The program take place from June 10 – July 20, 2018. The Paideia Institute has a few funded positions available, but applicants are also encouraged to seek external funding. The estimated cost of the internship, including round-trip airfare, room, and board, is $4000. To learn more and apply, visit the Paideia Summer Internship Website. The application deadline is March 1, 2018. The Sijal Institute for Arabic Language and Culture is pleased to invite applications for its 2017 Summer I and Summer II Intensive Arabic language sessions. Set in a historic villa and gardens, Sijal also offers a beautiful and inspiring setting for study and reflection. Its location in the heart of the Rainbow Street cultural district of Amman is unrivaled, offering immediate access to lively neighborhood markets, restaurants, cafes, theaters, and libraries. The 2017 summer session dates are: Intensive Summer I: June 2- July 12 and Intensive Summer II: July 14-August 16. For more information about the program see the Sijal Summer Arabic Institute Website. Students who wish to further their study in Classics are invited to consider the graduate program at The University of Vermont (UVM), They offer an MA in Greek and Latin, an MAT in Latin, and a Certificate of Graduate Study. To learn more about the UVM Graduate Program and how to apply, see the UVM Website. Lessons will be entirely in Latin. The program will last from July 4th-25th , 2018. To find out more and register for the Scholae Aestivae, see the Scholae Aestivae Website. Professional masonry restoration training (mortar, masonry, stone) is available in one-day sessions in Chicago on January 24, 25 and 26, or March 7, 8, and 9. To learn more see their information here. The University of California, Berkeley conducts a summer (June and July 2018) field school in Greece. Preference is given to Berkeley students, but Mac Classics alumnus David Wheeler ’09 tells us it is absolutely possible that [they] could take a Mac student or two.” Learn more from the flier here. If you are interested, please email David at (david.wheeler@berkeley.edu) with questions. (F) 01/02/2018 Fellowship with Angie Craig for Congress. The campaign says, “fellows of this campaign have gone on to be leading voices in local campaigns across the state or have been able to use the skills they learned to successfully move into the legislative or nonprofit side.” and they also are “committed to helping boost college students’ resumes and providing ample opportunities to develop skills essential for finding solid employment post-graduation.” Attached is a flyer for the fellowship program. The Online Public Classics Archive, a digital initiative created by Paideia Institute is now available online. The OPCA is “an online database that archives and organizes the public media’s engagement with antiquity on the Internet.” The OPCA is a site that is searchable by keywords and tags and can be filtered by date, for both Classicists and the public to examine the impact the ancient world has had on contemporary thought. You are invited to get involved with the OPCA. Anyone can submit articles by logging into the site. If you’re interested in being more involved, consider joining the editorial team. Email a letter of interest to info@paideia-Institute.org. This AIA event will compare two cases of legal restitution or reparation in the aftermath of looting and the destruction of cultural property: The return of objects confiscated by Napoleon, and the recent International Criminal Court conviction of Ahmad Al Mahdi for destruction of Muslim shrines in Timbuktu. The event will take place December 7th, 2017 at 6pm in the Anderson Center on the University of St. Thomas campus. To find out more about the event, see the attached AIA Napolean Al Mahdi Flyer. Are you or one of your students interested in studying Arabic, Persian, or Turkish in an immersion environment? The Arabic, Persian, and Turkish Language Immersion Institute can provide two semesters of language credit in 8 short weeks, while living on the beautiful lakefront campus of the University of Wisconsin-Madison! Visit the APT Language Immersion Institute Website for more information and application details. Apply before February 14th and avoid an application fee! Learn ancient Greek and Latin over the summer 2018 at McGill University, located in Montreal, one of the premier, international cities in North America. Through the McGill Summer Language Institute, the Department of History and Classical Studies offers intensive first-year Ancient Greek and intensive first-year Latin. Students may register for one or both courses. Those who complete both will have the equivalent of two years of ancient languages in just twelve weeks, and will be ready to enter intermediate level courses in the fall term. Anticipated tuition, registration fees and insurance: $3585CAD (Canadian students), $3915CAD (International students) per course. Visiting students will be asked to make a deposit of $350 (non-refundable) in order to secure a slot. For more information about the programs and how to register, see the McGill Summer Language Program Website. The MA Program in Classics at McGill university is designed to prepare students for PhD programs in any field related to Classical Studies. The program is flexible and inclusive, and it is set up to accommodate students from various academic backgrounds and levels of preparation. There is even an accelerated option for applicants with limited exposure to classical languages. They have a successful track record placing students in the most competitive doctoral programs in North America, including Princeton, University of Chicago, University of Southern California, New York University, and Harvard. To find out more about the program and how to apply, visit the McGill MA Classics Website. The Paideia Institute is proud to announce its summer programming in Classics for 2018. Paideia Institute programs provide intimate experiences of Latin and Ancient Greek language and literature among some of the most beautiful and inspiring sites of the classical world. Paideia’s Living Latin and Greek programs feature the active use of Latin and Greek as spoken languages. Undergraduate credits and Continuing Education Units (CEUs) are available. To learn more about all the programs available and how to apply, visit the Paideia Institute Summer Programs Website for more information. Northwestern’s Department of Classics offers a Ph.D. in cooperation with the Program in Comparative Literary Studies. Our focus is on Classics as a discipline and field of study of continuing importance in the study of the literatures and cultures of the modern world, including the long and intricate processes of tradition by which it has reached our own. All Northwestern graduate students receive full tuition and a competitive stipend for five years of study, including summers. In addition to the support of Classics, Comparative Literary Studies, and other Departments, Northwestern’s Graduate School sponsors the Classics Cluster, a working group which brings together graduate students from many fields and departments with a shared interest in Classics. To learn more about the graduate program and how to apply, see the Northwestern Classics and Comparative Lit Phd Flyer. The American University in Cairo is now in the process of recruiting applicants for the 2018-2019 program. Established in 1981, the Presidential Internship Program at The American University in Cairo (AUC) provides recent university graduates the opportunity to spend an academic year working at the highest levels of an international university, learn Arabic, and experience life in Egypt. Deadline to apply is January 22, 2018. To learn more about the program and how to apply, visit the AUC Website. Queen’s University Department of Classics is offering a MA program this upcoming Fall 2018. To learn more about the program see the Queen University Flyer. Study Classics after Mac at the University of Iowa. The graduate program in Classics is intended for undergraduates who have taken coursework in Greek and Latin and have successfully completed at least three years of one language and two of the other and who wish to continue study for an M.A. or Ph.D. The M.A. is conceived as a two-year program and the Ph.D. as a six-year program (four years in coursework and two for writing the dissertation). The department offers Teaching Assistantships, Assistantships for the departmental journal Syllecta Classica, and fellowships in years five and six. The Post-Baccalaureate degree is a one- or two-year program for undergraduates who require more training in Latin and/or Greek. Students take language and culture courses in the department before applying for admission to graduate programs. To learn more about the programs, see the Grad Program Flyer and the Post Bacc Program Flyer. The Summer Session program of the American School of Classical Studies at Athens is a six-week session designed for those who wish to become acquainted with Greece and its major monuments, and to improve their understanding of the country’s landscape, history, literature, and culture from antiquity to the present. The ASCSA Summer Session has provided the most extensive exposure to Greece, ancient and modern, for generations of students of Classics and related fields. It has a strong academic component with participants researching and presenting topics on site and offers unique opportunities to interact with archaeologists in the field. Roughly half of the session is spent in travel throughout Greece. Three trips of varying duration give the participant an introduction to the major archaeological sites and museum collections in North and Central Greece, the Peloponnese, and Crete. The remainder of the session is devoted to study of the museums and monuments of Athens and the surrounding area with day trips to such sites as Marathon, Sounion, and Eleusis. The Summer Session’s commitment to presenting a comprehensive view of Greece’s rich history leads to long days and extensive walking in the hot Mediterranean climate. Participants should be prepared for a rigorous program of study. Applications are due January 15th. To learn more about the program and to apply, see the ASCSA Website. The Paideia Institute is proud to announce its sixth annual Living Latin in NYC conference, a two-day Living Latin and Greek experience in the heart of Manhattan February 17-18, 2018, hosted jointly with the Fordham University Department of Classics. This conference, one of the largest active Latin gatherings in the world, is designed to allow teachers and students of Classics to explore and practice the active use of Latin and Greek. In the setting of Fordham University’s Lincoln Center Campus, the program includes lectures on various aspects of active Latin and Greek pedagogy and workshops in which participants practice and observe spoken Latin and Greek techniques themselves. The registration fee for the program is $125. This fee includes all materials as well as breakfast and coffee hour daily. To learn more about the event and how to register, see the Paideia Institute Website. For more information, see the flyers attached to each program and visit the ArkaeoTek Website. Taught by Professors Georgia Tsouvala, Illinois State University, and Lee L. Brice, Western Illinois University, author of Greek Warfare from Marathon to the Conquests of Alexander the Great. The Seminar will investigate the intersections between ancient warfare and culture while visiting archaeological sites, battlefields, and museum collections. Through these visits and discussions, the Seminar will provide participants with a unique and useful grounding in Greek history. Taught by Professor Irene Polinskaya, King’s College London, author of A Local History of Greek Polytheism: Gods, People, and the Land of Aigina, 800-400 BCE. This seminar will take students to the sites of ancient worship – from caves to coasts, from peaks to pastures, from city acropoleis to deep countryside – to explore the remains of architecture and objects found there and link them to our textual sources. 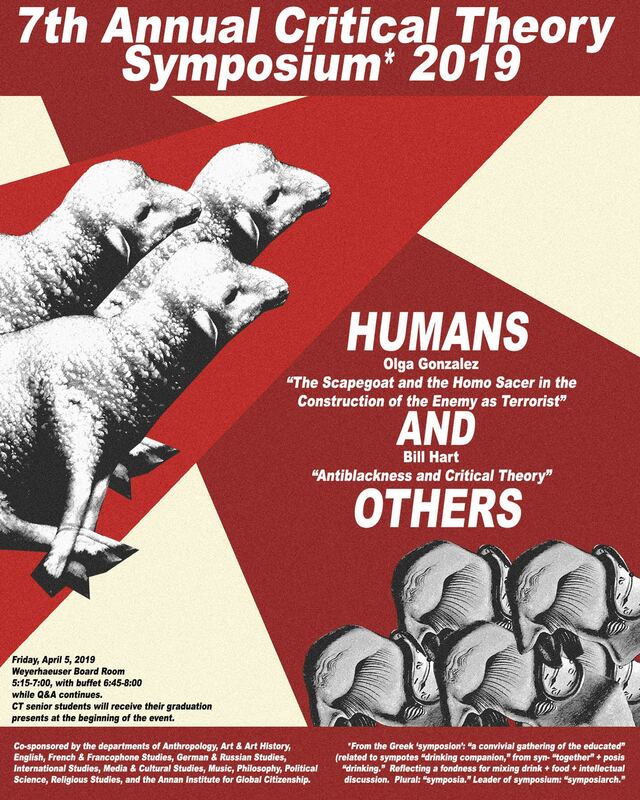 The seminar examines religious sites as nodes in the network of social interactions, products of geo-ecological, political, and historical development. The deadline to apply is January 25, 2018. To find more information about the seminars and the application process, see the ASCSA Summer Seminar Website. MEI offers an array of internship opportunities that engage a wide range of professional interests and talents. Although internships are unpaid, MEI works to ensure that its interns are compensated for their contributions. They offer a free language class, a SmarTrip card reloaded with $100 each month, a year-long online subscription to The Middle East Journal, and a series of talks, the Intern Development Series, exclusively dedicated to advancing our interns’ professional lives and their knowledge of the region. Application deadline is November 15th. To learn more about the various internships offered and apply, see the MEI Internships Site. Arabeya, a language school was established in 2003 with the purpose of providing intensive Arabic courses for all levels of Modern Standard Arabic (MSA) and Egyptian Colloquial Arabic in Egypt, is now offering an intensive Arabic language Winter Program 2017/18. Learners of the Arabic language now have the opportunity to take part in our rich and wide ranging programs for all levels, from absolute beginner to highly specialised advanced courses. To learn more about the program and how to apply, see the Arabeya Website. The American School of Classical Studies at Athens is pleased to announce the academic programs and fellowships for the 2018-2019 academic year at the Gennadius Library. To learn about the fellowships and how to apply, visit the Gennadius Library Fellowships and Grants Website. Traversing the artificial disciplinary and departmental barriers that too often subdivide this vibrant commingling, the Medieval and Renaissance Studies Program offers unique opportunities to consider the Middle Ages and the Renaissance as an integrated whole. For more information about the program and how to apply, see the Columbia MA in Renaissance and Medieval Website. Juniors and seniors across all majors are encouraged to apply. The Critical Language Scholarship (CLS) Program is an intensive overseas language and cultural immersion program sponsored by the U.S. Department of State for American students enrolled at U.S. colleges and universities. The program includes intensive language instruction and structured cultural enrichment experiences designed to promote rapid language gains. Scholarships are available for students interested in Arabic, Azerbaijani, Bangla, Chinese, Hindi, Indonesian, Japanese, Korean, Persian, Punjabi, Russian, Swahili, Turkish, and Urdu. Many Macalester students have been accepted to the CLS program over the years. An info session for the CLS program will be held from noon to 1 p.m., Monday, October 23, in Davis Court, Markim Hall. Pizza will be provided. Applications for the Summer 2018 program are due November 15. For questions regarding the scholarship, please contact Center for Study Away. The American School of Classical Studies at Athens, one of America’s most distinguished centers devoted to advanced teaching and research, was founded in 1881 to provide American graduate students and scholars a base for their studies in the history and civilization of the Greek world. Today, over 135 years later, it is still a teaching institution, providing graduate students a unique opportunity to study firsthand the sites and monuments of Greece. To learn more about studying at this institution and the fellowship and/or grant opportunities, see the ASCSA Study in Greece Flyer. This conference will pertain to a wide variety of topics concerning the classical world, with paper sessions being divided by theme based on the papers accepted. Abstracts will be considered from any discipline within classical studies (archaeology, history, philology, art, etc.) or a related field, including interdisciplinary topics or topics in Egyptology and the ancient Near East. bstracts are due by 5:00pm EST on Monday, November 13, 2017. The conference will take place February 23 (evening reception) – February 24, 2018. If abstracts are accepted, the hotel is paid for by the conference. For more information about submission detail and the conference itself, see the Tennessee Undergraduate Classics Research Conference Website. Catholic University in Washington DC offers a full and rigorous program of classical studies at the MA level and the PhD students specialize in the literature and history of late antiquity, down into the Middle Ages. To learn more about the program, see the Grad Study at Catholic University Flyer. Applications for the Duke Classical Studies PhD program are now available. To learn more about the program and decide whether Duke Classical Studies is a place for you, visit the Duke CLST Grad Program Website and/or the Duke CLST Grad Program Flyer. The Archaeological Institute of America offers a range of funding opportunities, including Fellowships, publication grants, Scholarships and travel grants—plus the Site Preservation grant, and grants for excavation, survey work and research. Further information can be found on the AIA’s Website. Austin Peay State University is pleased to invite submissions for Philomathes: A Journal of Undergraduate Research in Classics. This online journal publishes original research projects carried out by undergraduate students in any area of Classics. The deadline for submissions for the next issue isFriday, November 10, 2017with a publication date scheduled for April of 2018. Please see the Philomathes Website, for information on publication policies and submission guidelines. The Call for Papers for the second issue of NEO – The Classics Students’ Journal is now open. NEO is an online open access, double peer reviewed interdisciplinary journal set up by Classics students, both undergraduate and postgraduate. Their aim is to provide an opportunity for Classics students of all university levels to be published. The deadline is September 15th. You can find all the information concerning submissions and the first issue of the journal in the Neo Journal Website. The Institute for Critical Social Inquiry (ICSI) at the New School for Social Research is pleased to announce that they are now accepting applications for their 2018 Summer Seminars (June 10 – 16, 2018). Advanced graduate students and faculty are eligible to apply. ICSI offers advanced graduate students and faculty from around the world the opportunity to spend a week at the New School’s campus in Greenwich Village, working closely with some of the most distinguished thinkers shaping the course of contemporary social inquiry. Applications are due December 15, 2017. To apply, see the ICSI Website. The Academy Vivarium Novum is offering ten full tuition scholarships for high school students (16-18 years old) and twenty-eight full tuition scholarships for University students (18-24 years old) of any part of the world. The scholarships will cover all of the costs of room, board, teaching and didactic materials for courses to be held from October 2017 until June 2018 on the grounds of the Academy’s campus at Villa Falconieri (Frascati – Rome). To learn more about the program see The Academy Vivarium Novum Website. The MMRL is a CMS project designed to provide guidance on the study of manuscripts. The Laboratory is intended to provide practical guidance and training in the areas of text studies, text editing, palaeography, and codicology. The workshop is open to advanced undergraduate and graduate students from any institution as well as to faculty, independent scholars and other individuals interested in manuscript studies and having a background in classics, medieval studies, or library studies. The 2017 Manuscript Workshop will be held June 4-9, 2017 at the Hill Museum & Manuscript Library in Collegeville, Minnesota. To find out more and to apply, see the MMRL Website. The MIA will be offering a free talk by Lothar von Falkenhausen, a specialist on Chinese archaeology and member of President Obama’s Cultural Property Advisory Committee, titled “Trying to Do the Right Thing to Protect the World’s Cultural Heritage: One Committee Member’s Tale.” The talk will take place at 11am on Saturday, April 1st in the Pillsbury Auditorium of the MIA. For more information and to register, see the von Falkenhausen flyer. Schola Latina in now offering a new website providing some useful material for studying the classical languages, thought-provoking videos, and information about their initiatives and summer courses. Here is a link to the Schola Latina Website. The Hellenic Education and Research Center and Dramaticus Institute for Classical Drama have officially opened the application for Thucydides Dramatics 2, July 26-Aug. 14, 2017 in Athens Greece. “Thucydides Dramaticus: The Theater of War II” offers a combined academic and artistic study of Thucydides’ History of the Peloponnesian War with selected passages staged and performed by participants in the Ancient Theater of Messene, Greece. The program immerses participants in Ancient Greek Theater through a deeply insightful study of the Peloponnesian War. The program’s interdisciplinary approach of History, Archaeology, and Theater make for an original and exciting learning experience of Classical Greece.This year’s program culminates with an exciting finale of a public, professional performance at the Ancient Theater of Messene, where students will perform an original play based on Thucydides’ History. To find out more about the program, see the Athens Summer Theater Program Flyer. The Arabic, Persian, and Turkish Language Immersion Institute at University of Wisconsin-Madison is still accepting applications for their 8-week summer language program. Students can choose to study Arabic, Persian, or Turkish at levels ranging from beginner to advanced. The program takes place from June 17-August 12 and provides two semesters of academic credit. For more information, please visit the APTLII website. The Paideia Institute is adding a course on “Coding for Classicists” to its spring semester of online courses. The course is designed to bring together the disciplines of classics and coding, and will teach simple techniques for reading, parsing, analyzing, and filtering large amounts of classical text using code, then slowly expanding skills to add a user interface. No coding knowledge is required to begin. To enroll, please visit the Paideia Institute website. Macalester Consulting Group (MCG) is hosting the first case competition of the semester on Tuesday, February 28th, from 8 – 9 pm in CARN 005. They are going to host a fun news jeopardy game and solve an intriguing case. Come if you enjoy jeopardy, cracking interesting business problems or if you want to know what being a consultant is all about. They will have delicious cake and pizza to supplement our fun case. People of all academic backgrounds are welcome. To register, fill out the Consulting Case Competition Form. Join us on Thu., Mar. 2 at 11:30 a.m. in Carnegie 404 for student presentations. Sponsored by International Studies and Middle Eastern Studies and Islamic Civilization. Pizza served. The Center for Hellenic Studies (CHS) in Washington, DC offers a workshop to introduce undergraduates to important sources of information for the study of classics. The workshop sessions cover a variety of topics from search techniques to linked open data. In addition to developing their ability to access and evaluate resources, participants will also explore the broader landscape of scholarly communication and approaches to research in the digital humanities. The workshop lasts from June 20-29, 2017 and the application deadline is April 1, 2017. To find out more about the workshop and how to apply, visit the Information Fluency Workshop Website. 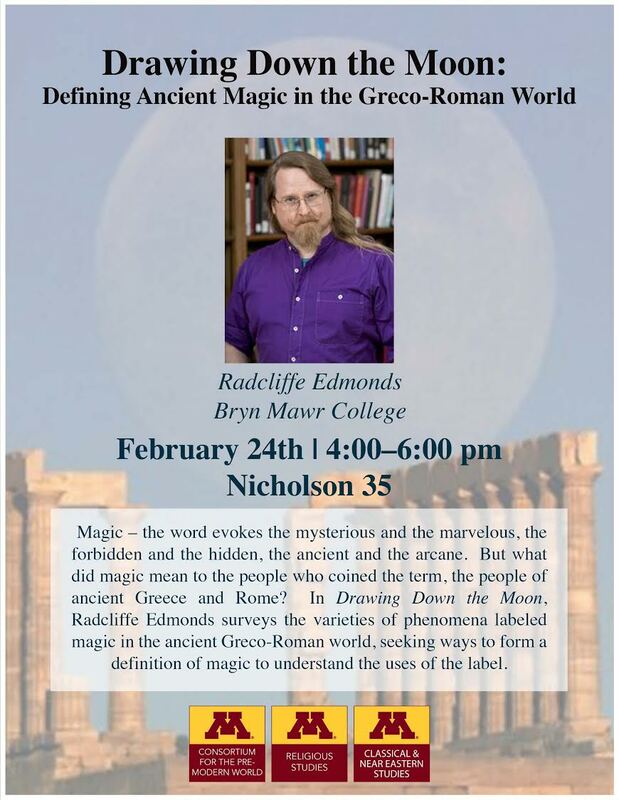 The University of Minnesota is presenting a lecture by Radcliffe Edmonds of Bryn Mawr College titled “Drawing Down the Moon: Defining Ancient Magic in the Greco-Roman World.” The event will be held from 4:00 to 6:00pm on Friday, February 24th in Nicholson room 35 at the University of Minnesota. For more information, please see the Drawing Down the Moon Flyer. The AIA are presenting a lecture by Sudharshan Seneviratne on “Sustainable Museums: Heritage Preservation in Sri Lanka.” The lecture will take place at 3:30-5:00pm on Wednesday, March 1st in room 204 of the Murray-Henrick building at University of St. Thomas. For more information about the event, please see the Sustainable Museums Lecture Flyer. Thursday, February 23rd is the 12th annual History Matters Day at the Capitol. For more information and to sign up, please visit the Minnesota Historical Society webpage. The Maya Society at Hamline University is presenting a lecture titled “Sorcerers, Charlatans, and War: Tollan and Chichén Itzá in Regional Context” on Friday, February 24th at 7:30pm in Hamline University Giddens Learning Center 100e. For more information, see the Maya Society webpage. The University of St. Thomas is presenting a lecture titled “Boondoggle! The Struggle to Build the Eisenhower Memorial” at 6:00pm on Monday, February 27th in the North Woulfe Alumni Hall in the Anderson Student Center at University of St. Thomas. For more information, visit the event page. The Classical Studies Program at Willamette University in Salem, Oregon, is hosting a one-day undergraduate conference. We envision this conference as an opportunity for talented undergraduates to present their work, for example a BA thesis or outstanding seminar paper, in a 15-minute talk to an audience of undergraduates and their faculty mentors. Papers are welcome in any area of ancient studies, including language and literature, religion, history, philosophy, and material culture. Abstract deadline is Tuesday, March 20, 2017. To find out more, visit The Northwest Undergraduate Conference Website. The Ohio University Department of Classics and World Religions this summer will again offer its Greek in Greece program. They will require at least one year of prior study of ancient Greek as well as an interest in learning some modern Greek to go with it. They will begin reviewing applications on February 20. To find out more about the program, see the Greek in Greece Flyer. Apply to be a student of Arabic, Persian, or Turkish this summer in Madison, Wisconsin! This 8-week program provides an immersive residential experience for students at the undergraduate and graduate levels, as well as professionals seeking language experience. Courses are offered for academic credit at the beginner, intermediate, and advanced levels (dependent on sufficient enrollment). The classes equal two semesters of study. Students live in a campus space shared with their peers and teachers. To find out more, see the APTLI Institute Flyer. The Sijal Institute for Arabic Language and Culture is pleased to invite applications for its 2017 Summer I and Summer II Intensive Arabic language sessions. Set in a historic villa and gardens, Sijal also offers a beautiful and inspiring setting for study and reflection. Its location in the heart of the Rainbow Street cultural district of Amman is unrivaled, offering immediate access to lively neighborhood markets, restaurants, cafes, theaters, and libraries. The 2017 summer session dates are: Intensive Summer I: June 3- July 13 and Intensive Summer II: July 15-August 17. For more information about the program see the Sijal Summer Arabic Institute Website. The University of Minnesota will be offering a local archaeological field school in Summer 2017. ANTH 3221-001, Field Investigations of the Sheffield Site: Oneota archaeology in the St. Croix Valley, will be held from June 12 – July 7, Monday-Thursday from 8:30 am – 4:30pm. The class is 6 credits. For more information, see the U of M Summer Field School Flyer. The Journal of Undergraduate International Studies at the University of Wisconsin-Madison is currently accepting submissions for its Spring 2017 issue. The Journal seeks to publish the world’s premier undergraduate work related to international themes and topics including, but not limited to: international conflict and conflict resolution, human rights, environmental issues, history, culture, comparative politics, economics, development and trade, global security, and international health. To find out more or submit a paper, see the JUIS Website. The Center for Hellenic Studies in Washington, DC is offering a workshop from June 20-29, 2017. The application deadline is April 1, 2017. To apply visit the Fluency Workshop Online Application. Applications are now live. To learn more about the program, please visit the web site here And please talk to one of our professors. Deadline is February 15, 2017. (A) 12/20/2017 Museum Field Studies Workshop in Experimental Ethnoarchaeology and Traditional Crafts in Rapolt, Transylvania, Romania JUNE 4 – JULY 1, 2017. Learn more here. Or find more Archaeotek offerings on their web site. (G) 12/20/2017 Columbia University’s European Institute M. A. program in Modern European History. To learn about the program, view this message. Application deadline is Jan. 17, 2017 for early admission, March 15, 2017 for regular admission. The Gennadius Library of the American School of Classical Studies at Athens announces the summer session focused on the teaching of Medieval Greek, from June 26 to July 25, 2017. Deadline to apply is January 15, 2017. For more information about the program and how to apply see the ASCSA Summer in Medieval Greek Website. The Paideia Institute is proud to announce its summer programming in classics for 2017. Paideia Institute programs provide intimate experiences of Latin and Ancient Greek language and literature among the most beautiful and inspiring sites of the classical world. Paideia’s Living Latin and Greek programs feature the active use of Latin and Greek as spoken languages. Undergraduate credits and CEUs are available. For more information about the different programs offered and how to apply, see the Paideia Institute Website. The American School of Classical Studies in Athens is offering funding for graduate students, multiple fellowships and summer seminars and class sessions, for more information about specific sessions and fellowships, see the ASCSA Programs and Fellowships Flyer. The Department of Classics at Duke University has is again offering a Classical Studies Graduate Program. They recently changed their deadline for graduate applications to December 8, which provides a bit more time for applicants. To read more about the program where to apply, see the Duke Classical Studies Grad Program Flyer and the Duke Classical Studies Grad Program Website. The Department of Classics at Ohio State will again offer the Summer Latin Workshop during Summer 2017 (May 10 to July 28) for 12 credits. Apply through the OSU Office of Distance Education and eLearning between April 4 and July 8. For more information, see the OSU Latin Workshop Website. Co-Sponsored by the MIDWEST JOURNAL OF UNDERGRADUATE RESEARCH (MJUR) and MONMOUTH COLLEGE, the inaugural Conference of Undergraduate Research & Scholarship offers students the opportunity to showcase their work and learn about the work of others, while networking with peers at other institutions. The conference is April 21-22, 2017 at Monmouth College in Monmouth, Illinois. Abstracts are due January 31, 2017. For more information, visit the CURS website. The American University in Cairo (AUC) is now in the process of recruiting applicants for the 2017-2018 Presidential Internship Program. The application is due January 20, 2017. For more information, see the the AUC Presidential Internship Program 17/18 Flyer. Philomathes is a new journal for undergraduate (and 1st year graduate) research in the Classics from Austin Peay State University, Clarksville Tennessee. Deadline for submissions is 15 November. Current undergraduate students and first year graduate students are welcome to submit papers on any topic dealing with the ancient Greco-Roman world. Literary studies, material culture, history, mythology, philosophy, reception studies, all are welcome. To find out more or to submit a paper, see the Philomathes Website. ArchaeoTek is now offering multiple programs for summer of 2017 in Transylvania, Romania. Students will explore the archaeology of the region, and have the opportunity to sample the magic of Transylvania, through its amazing historical and natural landscapes. To find out more about dates and how to apply, see the Archaeology in Romania Flyer. ​​​​Macalester College offers sophomore/junior/senior students the opportunity to explore careers and connections with alumni in select cities via the MacConnect Program. Trips are made possible through collaboration of Macalester Career Development Center (CDC), Alumni Relations, and Advancement Offices. Students from all majors and disciplines are encouraged to apply. This trip benefits Macalester as it offers a collaborative opportunity for alumni to share their expertise with current students, and students to serve as ambassadors of the College. Applications are now open. Deadline to apply for either trip is November 11, 4:30 pm. For more information about the San Francisco trip see the SF MacConnect Flyer and for more information about the DC trip, see the DC MacConnect Flyer. The Paideia Institute is proud to announce its fifth annual Living Latin in NYC conference, a two-day Living Latin and Greek experience in the heart of Manhattan, hosted jointly with the Fordham University Department of Classics. This conference, one of the largest active Latin gatherings in the world, is designed to allow teachers and students of Classics to explore and practice the active use of Latin and Greek. The conference will take place on February 18-19, 2017. To register and find out more about the program, see the Paideia Living Latin in NYC Website. The Ten Thousand Things theater group will performing Pericles at the Guthrie Dowling Studio from October 27th to 30th. To find out more information about the performance and how to buy tickets, see the Ten Thousand Things Website. Robert Lin, a senior Classics major, will be participating in the first Engaging Race event of the academic year. The event is being sponsored by the IGC and the Provost’s Office. The event will be taking place on October 25th in Markin Hall at 4:45 PM. See the official Engaging Race Flyer for more information. The American School of Classical Studies at Athens is pleased to announce the academic programs and fellowships for the 2017-2018 academic year at the Gennadius Library. Fellowships included are: The M. Alison Frantz Fellowship, Medieval Greek Summer Session at the Gennadius Library, Costen Traveling Scholarship for Research in Greece, The George Papaioannou Fellowship, and the NEH Fellowhips. For fellowship descriptions and application deadlines, see the Gennadius Library Fellowships Flyer. Come Celebrate International Archaeology Day this Saturday, October 15, 2016, at 11am, in Janet Wallace Fine Arts Commons, Macalester College. Look at cultural heritage preservation in honor of International Archaeology Day, and hear Sudharshan Seneviratne on “Cultural Heritage Preservation in Sri Lanka.” Professor Seneviratne’s talk will be followed from 12-2pm by a reception and presentation of Student Posters related to archaeology and preservation. For more information see the International Archaeology Day Flyer. Macalester professor, Vanessa Rousseau, will be giving a talk on “Art Crime in Context.” This talk will put contemporary attacks on art and cultural property into context by exploring the broad history of art crime from antiquity to the present. The talk will be Thursday, October 6, 7:00-8:30 PM, at the White Bear Center for the Arts. The University of Tennessee’s Department of Classics is pleased to announce its sixth annual undergraduate research conference. The conference will be held on February 25, 2017, and we are currently calling for submissions from interested undergraduates throughout North America. Papers should take no more than fifteen minutes to present, with an additional five minutes dedicated to Q&A afterwards. Audio-visual equipment will be available for presenters. Abstracts of no more than 250 words should be submitted by November 14, 2016. For more instruction see the University of Tennessee Classics Department Website. The Department of Classics at The Ohio State University invites paper proposals for its 2016 Graduate Student Conference, “What Does Evil Look Like? Horror, Macabre, and Ideological Control throughout the Ancient Mediterranean World” from March 24- 26 2017. The goal of this conference is to investigate the presence of evil in its manifold forms be they physical, artistic, poetic, historical, architectural, psychological, religious, profane, or philosophical. Please send a 150-200-word abstract, a short CV, and any queries to osuclassics2016@gmail.com by January 3, 2017. The Paideia Institute is currently accepting applications for Living Latin in Paris, an intensive Latin program designed to immerse participants in the Latin of the Middle Ages and Renaissance. For one week during the winter break, participants and instructors read and discuss selections from Medieval and Renaissance Latin literature associated with the city of Paris. Readings are enriched by daily visits to relevant sites in and around Paris. No experience speaking Latin is required. Visit the Paideia Institute Website to apply and learn more. Already holding one of the nation’s top MA programs in Classics that regularly sends students on to leading PhD programs and good jobs in secondary schools, Washinton University in St. Louis began a PhD program last year. This program is open to all, with special interdisciplinary tracks in Ancient History, Music, Philosophy, and Performance. These tracks build on special strengths in faculty and resources both within and beyond the Classics Department. For more information see the Grad Programs at Washington University in St. Louis Flyer. International Archaeology Day is October 15 and AIA MN plans to celebrate with a talk by Sudharshan Seneviratne on cultural heritage preservation, and a student poster session. Students are encouraged to share your work. They are accepting posters on recent fieldwork and research projects related to archaeology and cultural heritage preservation. Abstracts are due September 25th and for more information see the Arky Day 2016 Call for Posters Flyer. This year’s archaeology lecture series begins on September 22 with Bret Jackson and Richard Graff’s talk on experiential analysis of oratorical venues in Ancient Greece. See the attached AIA MN Fall Newsletter for details and the rest of this year’s events. (A) 8/31/2016 The American School of Classical Studies in Athens Summer Programs for 2017. View the flier here. (I)-alums 8/31/2016 The American School of Classical Studies in Athens Visiting Professor Positions for 2017-2018. See the announcement here. (A) 7/11/2016 Vivarium Novum Announces Competition for Scholarships to Study in Latin and Greek in Rome. Application letters are due July 31, 2016. To learn more, click here. The Paideia Institute is happy to announce its spring semester offerings in Telepaideia, their series of online courses in Latin and Ancient Greek. Telepaideia allows you to study Latin and Greek language and literature with expert teachers from the comfort of your own home. All you need is a computer and an internet connection. Courses offered this spring include: Conversational Latin and Greek, Intensive Beginning Latin and Greek, Reading Courses, and Modern Language Courses “For Classicists.” For more information, visit the Paideia Institute Website. Interested in working in the Publishing and/or Communications field? The CDC has recently posted several various publishing and communications job listings both locally and in New York City with titles ranging from Copy Assistant to Evaluation & Communications Specialist. For more information about the jobs and how to apply, see the MC2 website. National Park Service Museum Aide Intern: Paid internship in West Virginia. Applications due April 14th. See NPS Museum Intern Flier for more details on how to apply. Paid internship with Zeus Jones, acting as an outside source of perspectives and experiences with a business working to modernize other businesses. Applications are due April 9th. 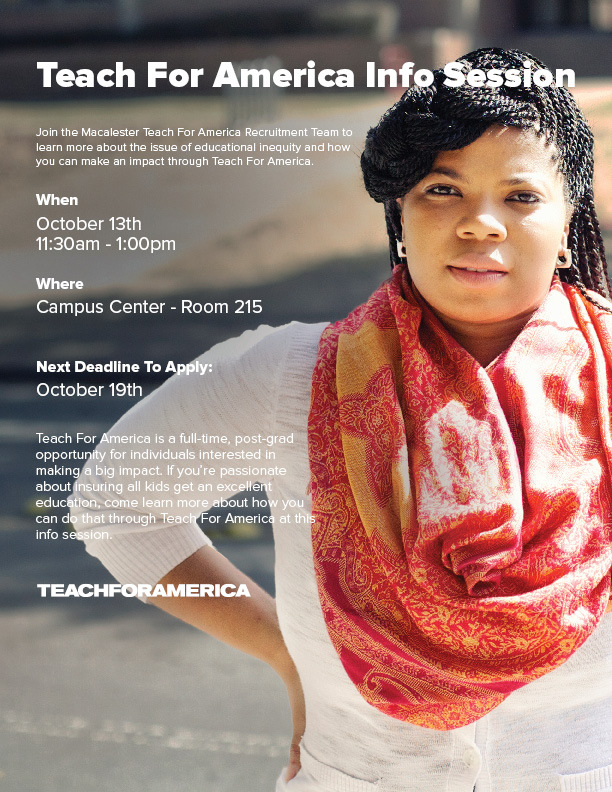 For more information about dates and how to apply, see the Mt. Olympus Intern 2016 Flier. Personally recommended by alumni and former Classics student Duncan Griffin, a position with CHS in Washington DC is available over summer of 2016. A paid internship between June 1st and July 31st, students will work on projects related to publications and content development. Deadline to apply is April 1st. For more information visit the CHS website. The Minnesota Historical Society is offering an internship for summer of 2016 working to track identified animal remains (zooarchaeology) from inventoried sites. The application deadline is March 20. See the Minnesota Zooarchaeology Internship Flier for more information. The UofM is offering immersion and intensive Arabic language classes in both beginning and intermediate levels along with a course on Egyptian Colloquial Arabic. See the UofM Summer 2016 Arabic Course Flier for additional information about dates, times, etc. The University of Colorado Boulder is offering Introductory Greek classes online. No affiliation with the University of Colorado Boulder is necessary and course may be completed entirely online. For more information about prices, dates, and how to sign up: CU Boulder Beginning Greek Online Flier. Selected passages of Thucydides will be staged and performed by participants (drama / classics students and theater professionals) in Ancient Theaters in Greece. As part of HERC’s International Scholarship Program those admitted will be awarded full scholarships. Students will work at the excavation site and will focus on archaeological method and practice, pottery cleaning and archaeological drawing. Selected literary texts and inscriptions on the history of Messenia will be read. The course will examine the presence and history of the Jewish Diaspora and Early Christianity in Roman Greece on the basis of literary sources, archaeological remains and ancient inscriptions. St. Catherine University ​will begin offering a yearly summer online program in Sanskrit. St. Cates hopes to increase the accessibility of Sanskrit for scholars, students and any other interested parties at the college level and above, by offering a complete and immersive course in Sanskrit online. For Summer 2016, the course will be offered at half price to make it more attractive during the development process. An abbreviated free trial version of the course is available online now, and will remain available until June 6th, 2016. For more information go to https://sites.google.com/a/stkate.edu/online-sanskrit/home. The Arab American literary organizations RAWI and Mizna are looking for a motivated, energetic Project Coordinator for their sixth national conference at the Loft Literary Center (June 16–19) in Minneapolis, MN. Duties will begin on April 4 2016 and end June 30 2016, with about 8hrs/wk in-office anticipated for April and May and increasing through June till the conference, where the full weekend is needed. Arabic language is not required. Interest in Arab and Arab American community, social justice and publishing and art as a tool for social change is. Classics alum Sarah Dillard did this job and says, “being a part of the Mizna community has changed my life. I still work for the org remotely and would be so happy to see another Mac person find their way into the Mizna world.” Contact her at sarahndillard@gmail.com. See the job announcement here. The students in CLAS 362: Intermediate Greek Poetry will serve as the editorial board for an issue of the journal Studies in Mediterranean Antiquity and Classics this term. SMAC features the outstanding research of Macalester undergraduates in the study of ancient Mediterranean people and cultures. Papers are welcome addressing the languages, literatures, material culture, societies or history of the broad ancient Mediterranean world, including Greece, Rome and the Middle East. SMAC is published online, and you can view earlier issues at http://digitalcommons.macalester.edu/classicsjournal/. Please consider submitting successful term papers from previous semesters, independent study projects, and the like. Guidelines for submission are available on the journal website at http://digitalcommons.macalester.edu/classicsjournal/policies.html. Papers should be submitted electronically as a pdf file to Beth Severy-Hoven (severy@macalester.edu) by April 20 for consideration in this issue of the journal. The play centers around Gertrude Bell—a unique woman whose experiences in the Middle East in the early 20th century affect a lot of what the Western world knows about that area today. All ticket prices are “Pay-what-you-can.” See more here. April 4-5, 2016, Professor John Cooper from Princeton University will deliver this year’s lecture titled “Ancient Philosophies as a Way of Life” See flier here. Leadership and the American Presidency Internship Program Summer 2016. Deadline June 1st See flier here. This workshop introduces undergraduates to important sources of information for the study of classics and to develop their ability to access, evaluate, and manage resources in a variety of formats. Applicants should be rising juniors or seniors majoring in Classics, Classical Studies, or related fields. Deadline is May 1, 2016. See more at: http://chs.harvard.edu/CHS/article/display/5687. ARCHAEOTEK is offering the following summer field opportunities in Roman field archaeology in Transylvania (Romania) – see attached fliers or visit www.archaeotek-archaeology.org for more information. The Collaborative Archaeology Workgroup at the University of Michigan is organizing a conference on Migration and Mobility: Permanent and persistent movements of people, March 18-19, 2016 and are accepting submissions of 15 to 20 minute papers. Deadline to submit is February 17th. See more here. To learn about an archaeological field school opportunity, “Villa of the Antonines,” from July 3-30, 2016 see their flier here. Olexa Bulavitsky: Immigrant Experiences and Ukrainian-American Art, January 30, 2016 – July 3, 2016. View the exhibition flier here. Thursday, February 11, 6pm, Pieter Broucke, “A Roman Architect at Work: Apollodoros of Damascus and the Design of the Pantheon,” at the Weisman Art Museum, University of Minnesota. The University of Minnesota will be offering two local field schools in Summer 2016. Both are located less than an hour from the Twin Cities, they are opportunities to learn field excavation techniques in a small group environment. ANTH 3221-001, Field Investigations of the Sheffield Site: Oneota archaeology in the St. Croix Valley,will be held from June 27 – July 22, Monday-Thursday from 8:30 am – 4:30pm. Please contact Dr. Ed Fleming at efleming@smm.org and see flier here for more information. ANTH 3221-002, Field School in Archaeological Survey and Excavation, will be held at Peterson Farm and Fort Snelling. The field school will run from May 23 – June 10. Please contact Prof. Kat Hayes atkathayes@umn.edu and see flier here for more information. The Center for Hellenic Studies (CHS) and Sunoikisis announce the 2016 Archaeological Program at Kenchreai, the port of Corinth in southern Greece. To learn more about this opportunity, please visit the website here. Nova currently has a number of job opportunities available, including that of Lunch Monitor and Long Term Latin Substitute. If you are interested in working with an amazing team that tirelessly supports our students, as well as those who directly impact them and the larger learning community, please contact Melissa Hernandez at mhernandez@novaclassical.org for next steps. Referrals are also welcome. The Paideia Institute announces summer programming in classics for 2016. Paideia Institute programs provide intimate experiences of Latin and Ancient Greek language and literature among the most beautiful and inspiring sites of the classical world. Paideia’s Living Latin and Greek programs feature the active use of Latin and Greek as spoken languages. Undergraduate and graduate credits are available. Alumni of Paideia Programs are eligible for the Paideia Rome Fellowship, a fully funded, year-long post graduate fellowship in Rome. For more information, or to request an application, visit the website www.paideiainstitute.org. Thursday, December 10, 2015 at 6pm: Philip Sellew, “Resurrecting Early Christian Lives: Digging in Papyri in a Digital Age,” in the John B. Davis Lecture Hall in the Ruth Stricker Dayton Campus Center, Learn more about the lecture at this blog or see this poster. And here’s a fun Radiolab podcast about it, and the Ancient Lives crowdsourcing website for anyone who wants to try their hand at helping translate the fragments! The Iraqi and American Reconciliation Project (IARP) will premiere three new short documentaries on December 7, 2015, 7:30 p.m., in the Ruth Stricker Dayton Campus Center at Macalester College. The three new documentaries, written and directed by Twin Cities-based Iraqi refugees, are the latest installment of IARP’s ongoing Iraqi Voices initiative. See the Iraqi Voices press release here. The 2016 Critical Language Scholarship application deadline is 7:59 PM, Monday Nov 23, 2015. The Critical Language Scholarship (CLS) Program offers scholarships in fourteen critical foreign languages. The CLS Program is a program of the U.S. Department of State, Bureau of Educational and Cultural Affairs. It is a fully-funded overseas language program for American undergraduate and graduate students. 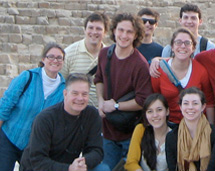 With the goal of broadening the base of Americans studying and mastering critical languages and to build relationships between the people of the United States and other countries, CLS provides study opportunities to a diverse range of students from across the United States at every level of language learning. Institute for Field Research Global (IFR) offers a summer 2016 field school in Jordan, July 14 -August 18. The fee includes credit via UCLA. The $4650 fee also includes 1.5 days at Petra with a stop at the Dana Reserve camp, as well as trips to Jerash, the Desert Castles, Amman and Madaba’s archaeological park. The fee does not include airfare. Learn more at their web site here. The Center for Hellenic Studies (CHS) in Washington, D.C. invites undergraduate students to share their research on Greek 4th Century Literature or Latin Neronian Literature in a workshop setting at the Sunoikisis Undergraduate Research Symposium, March 4-6, 2016. Students’ papers and videos of their presentations are published in the online Sunoikisis Undergraduate Research Journal (ISSN 2373-5937). Application Deadline: December 11, 2015 Apply now at http://wp.chs.harvard.edu/chs-forms/surs/ For more information, please visit the Sunoikisis website. Learn more about City Internships here. A talk by Dr. Kate Grillo entitled “Ethnography and (Unexpected) Archaeology of Herding Societies in Eastern Africa,” on Friday, October 30, 4:00 pm, Neill Hall 226. And Thursday, December 10, 2015 at 6pm: Philip Sellew (Macalester Classics alumnus), “Resurrecting Early Christian Lives: Digging in Papyri in a Digital Age,” in the John B. Davis Lecture Hall in the Ruth Stricker Dayton Campus Center.